Residence du Grand Saconnex offers studios with a kitchenette, a dining area, bathroom, sofa, flat-screen TV and free Wi-Fi. The Residence is located next to the United Nations Headquarters. 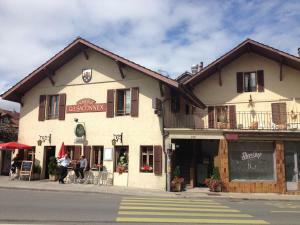 Grand-Saconnex’ restaurant serves food from Monday to Friday, and is also the location of the reception. Geneva International Airport, the Palexpo Exibition Hall, and the main train station are all within 1.3 km of the Grand Saconnex. Geneva city center is 3.5 km away. Guests staying at the Residence receive a transportation card for Geneva’s public transport free of charge.